Hydrocodone is an opioid painkiller used in combination with other ingredients including acetaminophen and ibuprofen. Different ingredient combinations are prescribed for different uses. For example, some hydrocodone combination medications are used for moderate to severe pain relief. Others are used to treat a cough. Any painkiller that contains hydrocodone requires a doctor's prescription. Hydrocodone combined with acetaminophen is also known as Vicodin, Lortab, Lorcet, Norco, Anesxia, Co-Gesic, Ceta-Plus, Hydrocet, and Zydone. When combined with ibuprofen, it is known as Vicoprofen. Hydrocodone is an opiate analgesic that is always taken in combination with at least one other type of medication. It works by changing the way the central nervous system responds to pain in the body. A hydrocodone combination that is used to treat a cough works by decreasing activity in the part of the brain that causes coughing. It is available in both short-acting and long-acting, or extended release, forms of pain control. Hydrocodone products come in the forms of tablets, capsules, and syrups. If you are prescribed hydrocodone, it is important that you take your medication exactly as instructed by your doctor. Other side effects are more serious. Seek immediate medical attention if you experience tightness in the chest or slowed or irregular breathing. You are at risk of breathing problems, sedation, and coma if you take hydrocodone with certain other medications. It is critical that you discuss all of your medications with your doctor, including those you are taking, plan to take, or plan to stop taking. Drugs that have these dangerous interactions include benzodiazepines (Xanax, Librium, Klonopin, Diastat, Valium, Ativan, Restoril, Halcion), medications for mental illness or nausea, pain medications, sedatives, sleeping pills, or tranquilizers. Drinking alcohol and taking any street drugs can also put you at risk for these dangerous interactions. Hydrocodone is abused for its narcotic effects. Of concern, a growing number of teenagers abuse hydrocodone. The FDA reports that hydrocodone is most often abused in combination with alcohol. 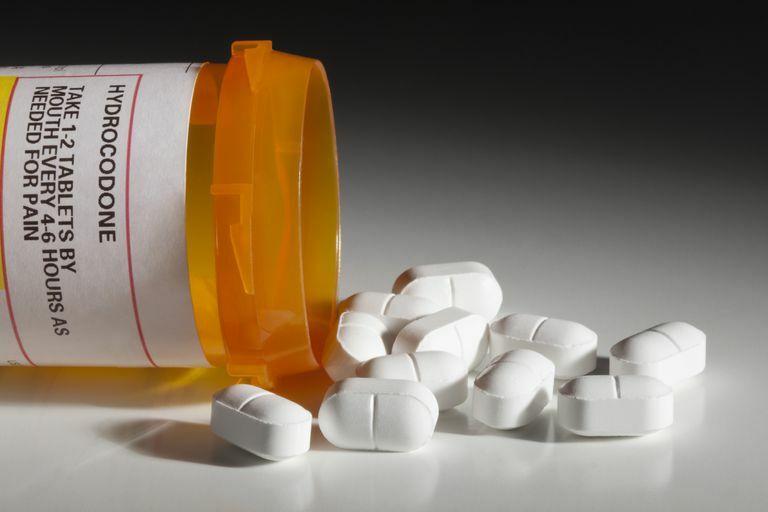 Hydrocodone abuse may lead to addiction or overdose. If you take hydrocodone for chronic pain, you may have concerns about developing an addiction, which should not be confused with physical dependence. Dependence is when the body has become accustomed to the medication. The body needs the medication to function and may develop a tolerance. With addiction, however, it's implied that the medication is interfering with the individual's life in some way. Use of the drug is compulsive, regardless of any potential harm. If you feel the hydrocodone combination product you are taking is not relieving your symptoms, do not increase your dose yourself. Talk to your doctor. Always take hydrocodone combination products exactly as instructed by your doctor. Do not take more of it, do not take it more frequently, and do not take it longer than prescribed by your doctor. Do not stop taking hydrocodone combination products without consulting your doctor first. It only takes a few weeks for the body to become accustomed to the medication, and quitting suddenly can lead to withdrawal symptoms. Talk to your doctor, who will help you quit the medication gradually and safely.